You know, I don’t know how to start this post, mainly because I’m not even sure what I want to say. 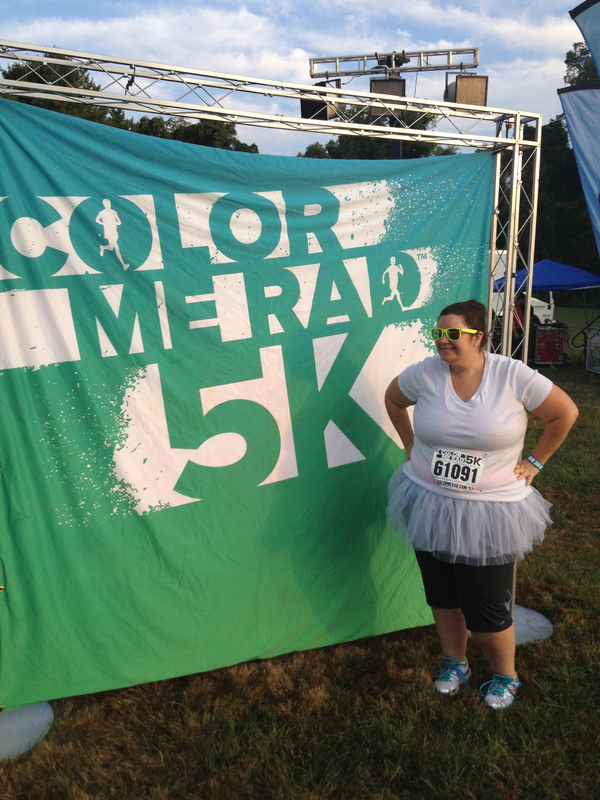 This morning had me getting up a 5:30 am on a Sunday in order to complete the Color Me Rad 5K in Baltimore. This time, I wound up walking it with a few friends. It was a lot of fun and even though we walked we still finished in under an hour. I remember the feeling I had when I completed my first 5K back in May. I couldn’t believe what I had accomplished and was so proud of my self for simply finishing. I literally cried because it was something I never thought I would be able to do. Then summer happened, and issues happened, and I slacked off and gave up. But not this time. I won’t let myself give up. I will continue. I hope that I will be able to complete some sort of “race” once a month. 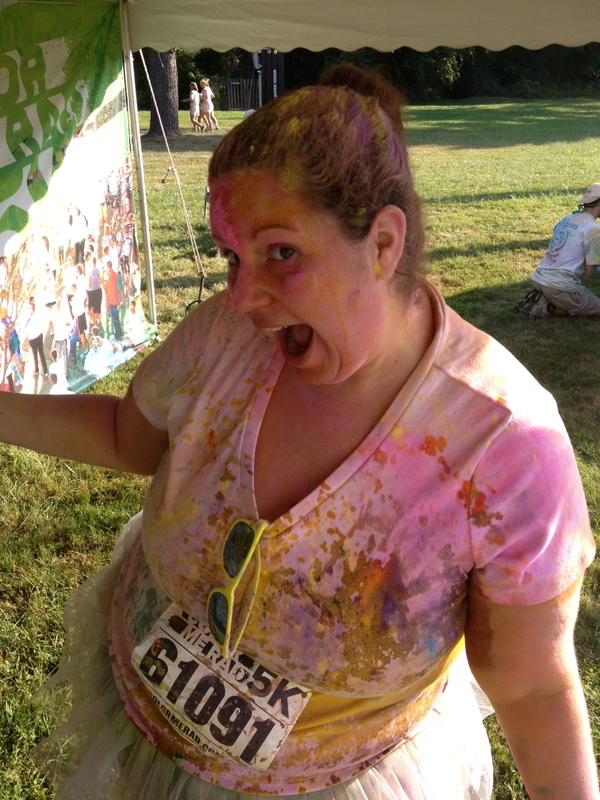 And my goal, my big goal, is to be able to run the entire Color Run in Baltimore on November 17th. And I’m sure when that happens I will cry again. Tomorrow the alarm will ring at 5 am and I will be get up and try my best to run for any distance, at any speed. I will be sore and tired, but it will be worth it.